Carnatic Cafe is a typical south Indian cafe with a nice ambience. 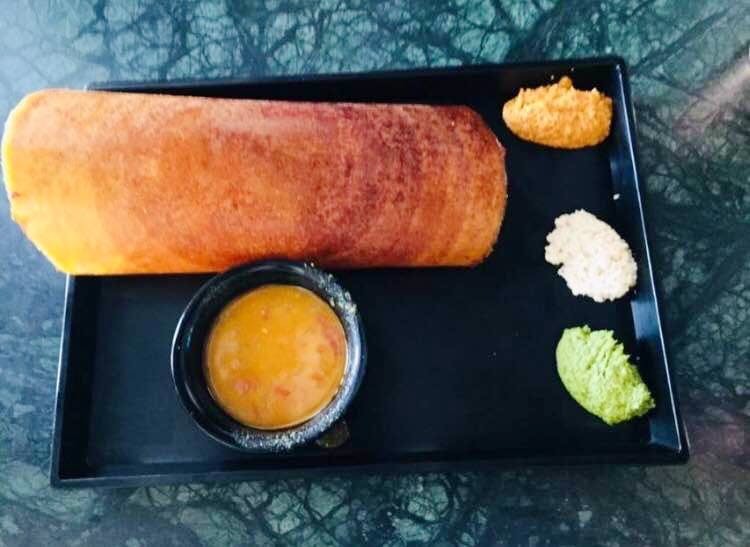 We ordered masala dosa which was crispy and authentic in taste. For dessert -we ordered their homemade chocolate ice cream which was good and the only thing which we liked about that cafe. The staff here are disappointing and they have slow service. Highly confused and disappointing staff.